As we go into this week of Thanksgiving I pray that we take a pause, a moment in time to remember all that we are thankful for. Let us remember to give a little extra grace and kindness to those around us, even when it seems a bit daunting or undeserved at times. I am grateful for my family. This year for Thanksgiving my whole family will be together at my parents’ home. I can’t remember the last time we were all together in one place for Thanksgiving! It will be full of the most amazing smells, talking, laughter, children running around and love. Simply the most beautiful kind of chaos you long for! I am loving this burnt orange overcoat. It is beautiful. Normally, I can’t get away with wearing this color, but I have learned over the years that I can incorporate into my outerwear those colors which don’t look good against my skin tone. This is a handy trick if there is a color you have been wanting to try but aren’t sure it is right for you. 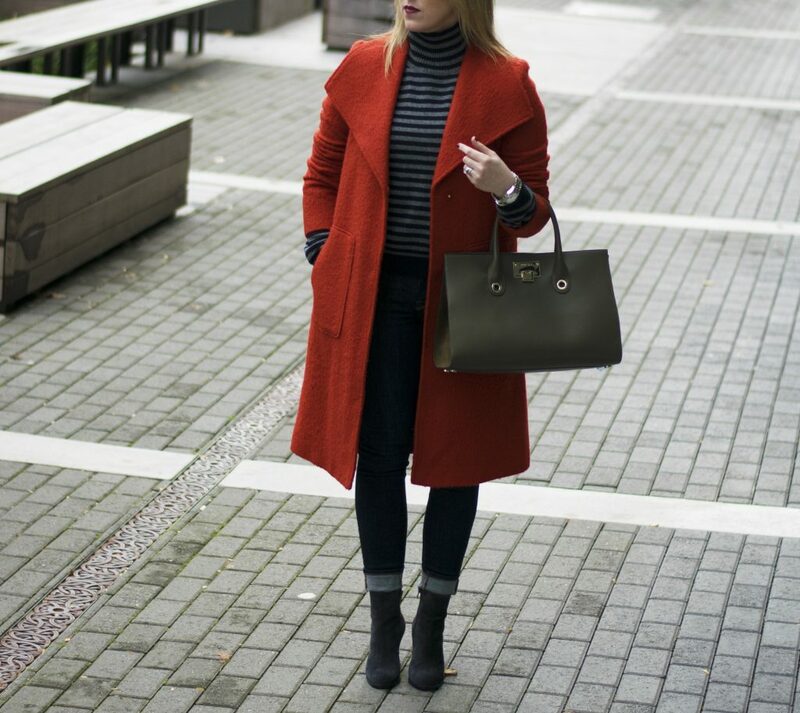 Simply invest in any outerwear piece in that beautiful color you have longed to wear. With it being an outer layer you are able to pair it with multiple outfits, thus getting a lot of wear out of one item. 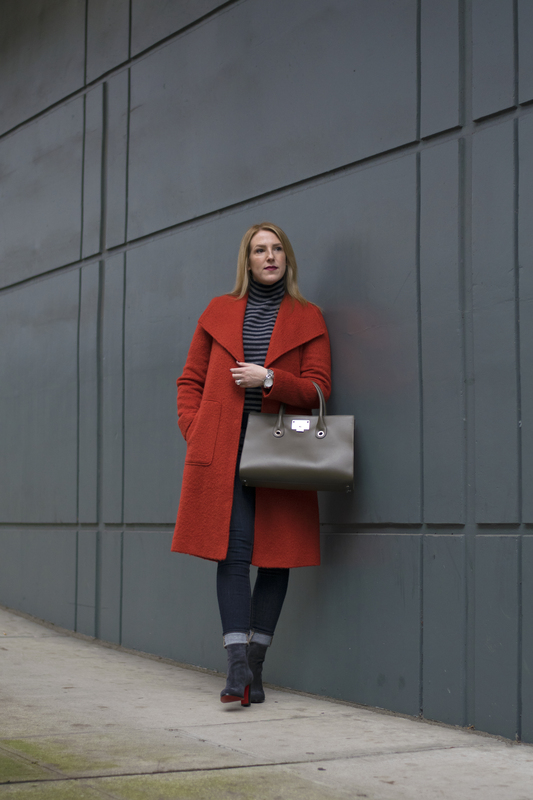 A great outerwear piece has the potential to last forever and can literally make an outfit come to life. What a great investment for your wardrobe! 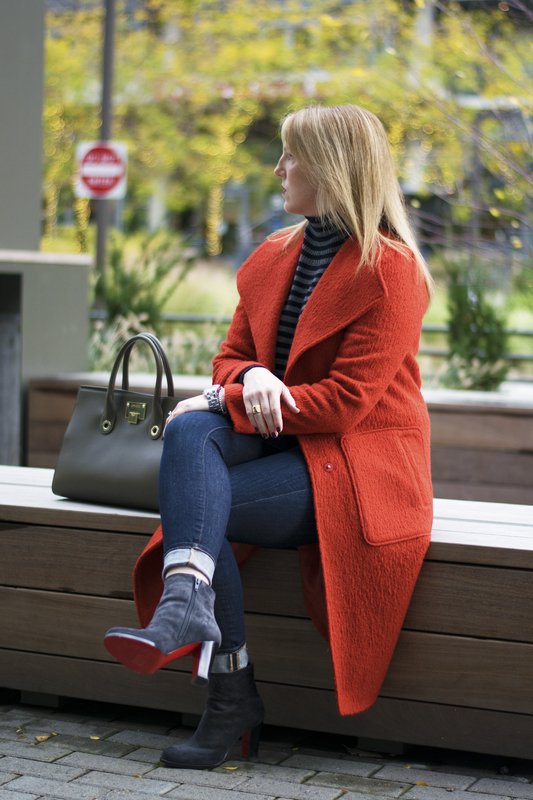 I have paired my coat with a cropped striped sweater and mid-rise dark denim to add a little bit of texture and dimension to my look. We actually play it pretty casual at Thanksgiving in our family. 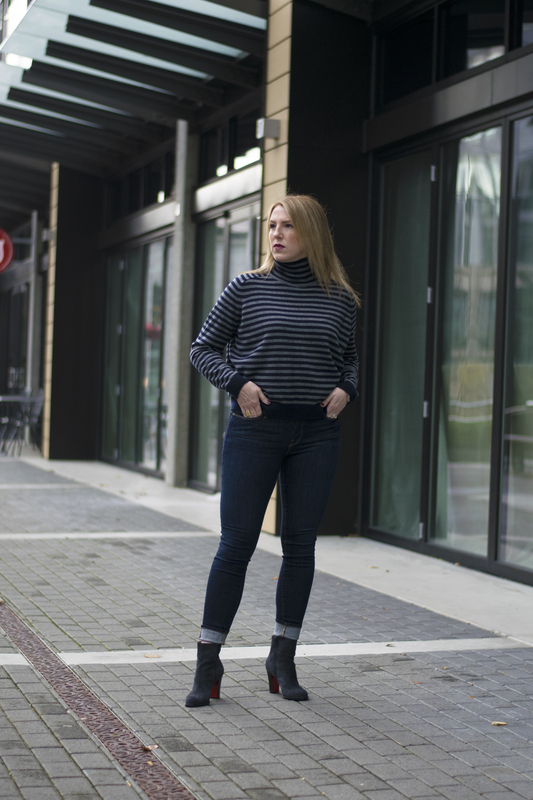 So keeping with jeans and a sweater, I can still be somewhat casual, but by using a dark wash denim and adding a heeled booty, I am able to dress up my casual outfit while still being comfortable. 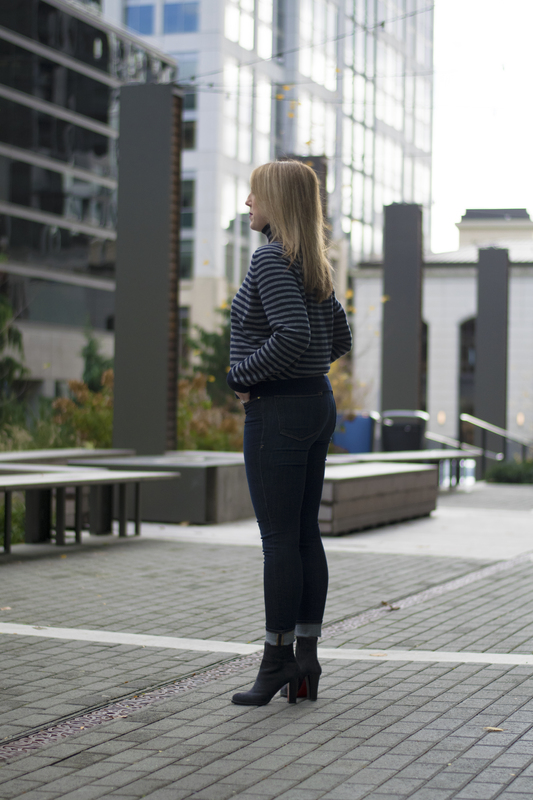 By choosing a cropped sweater and pairing it with a heeled booty, I have given the illusion of a longer and leaner silhouette. Something, if at all possible, I love to do. I would love to hear what you are doing for Thanksgiving, something you are thankful for this year, or perhaps share the details or a picture of your Thanksgiving attire. Dressy or Casual?